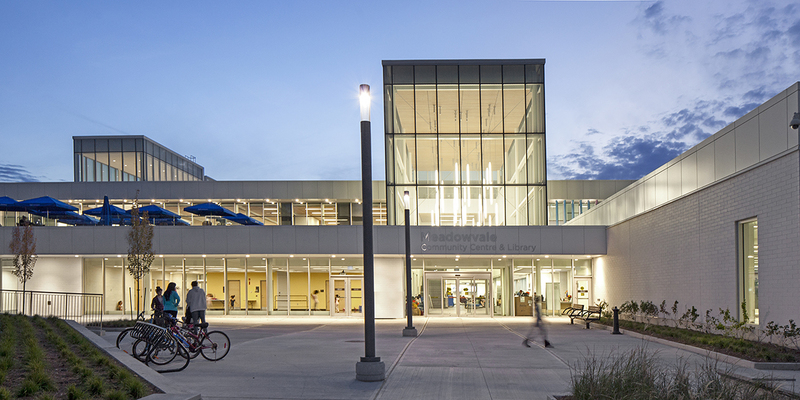 The original Meadowvale Community Centre was built in 1973. 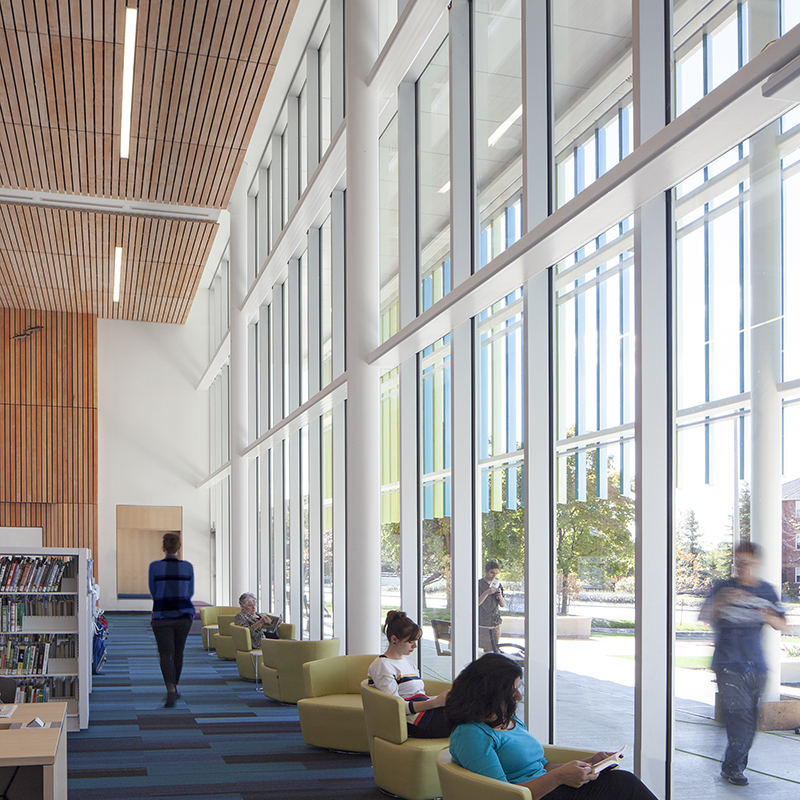 The new, more efficient and cost-effective facility expanded and improved upon the previous recreation programming and public accessibility. 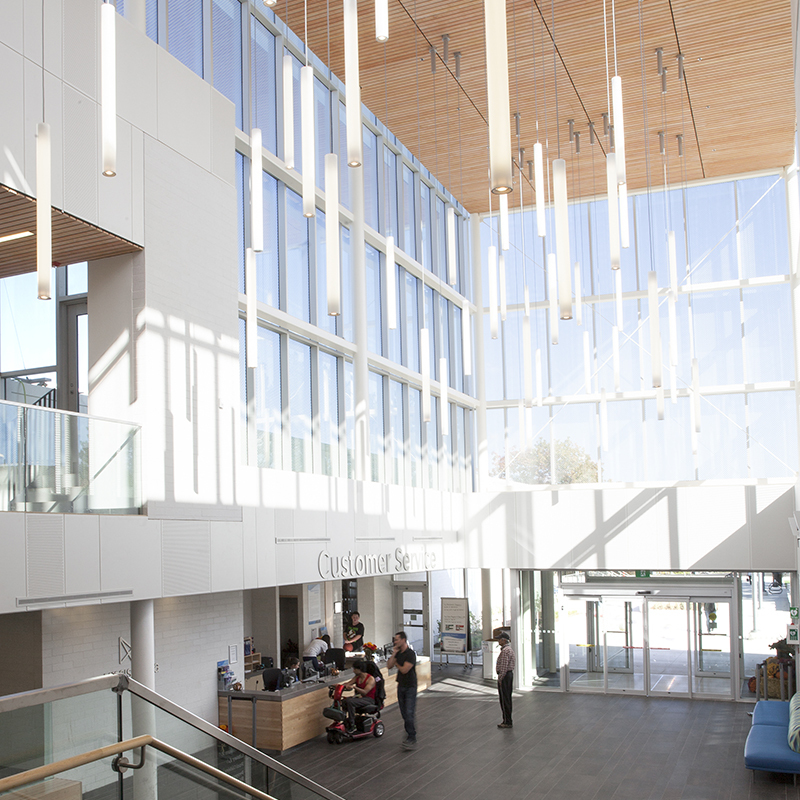 The new facility includes an enlarged and integrated fitness space, new meeting rooms and program spaces, a gymnasium, and a therapeutic pool. 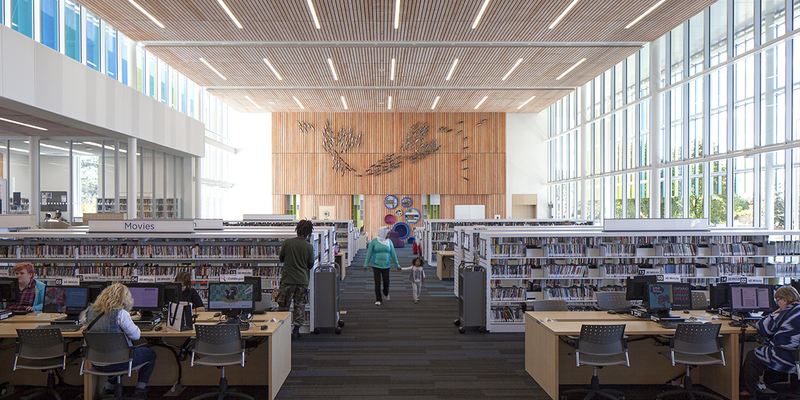 The Meadowvale Library has also moved into this new space so that residents will have convenient access to both recreational and library services. Allowing full accessibility to its users was a key component of the design. 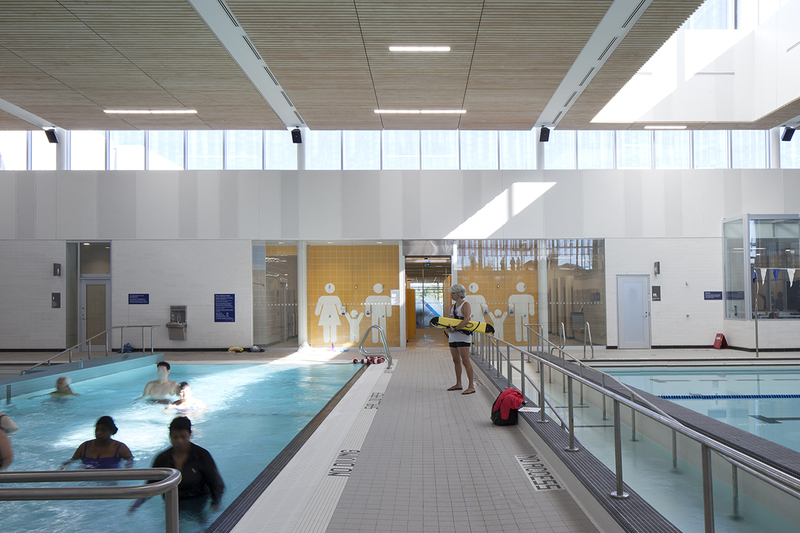 Some of the many accessible features include a therapeutic pool, 25-metre lap pool with ramp access, universal washrooms, automatic doors, and tactile panels. 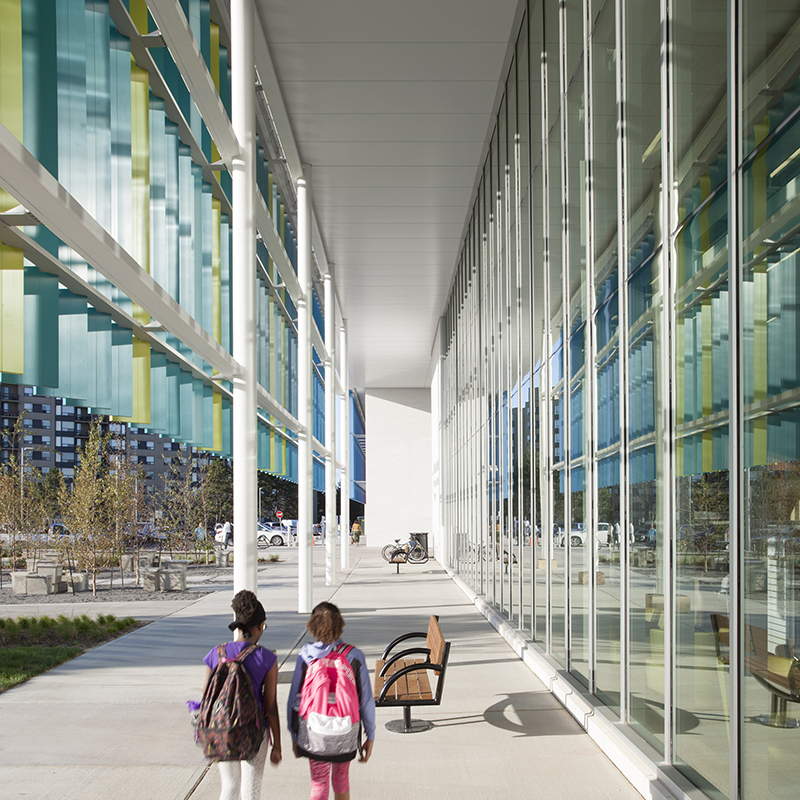 Challenge: In order to achieve the desired program space for recreational activities, long column-free spans were required in various areas of the building. In addition, exterior terrace framing had to be supported on the long-span structures, which is not typical. This entailed careful design to accommodate both environmental loading and vibration, which may occur from human movement. 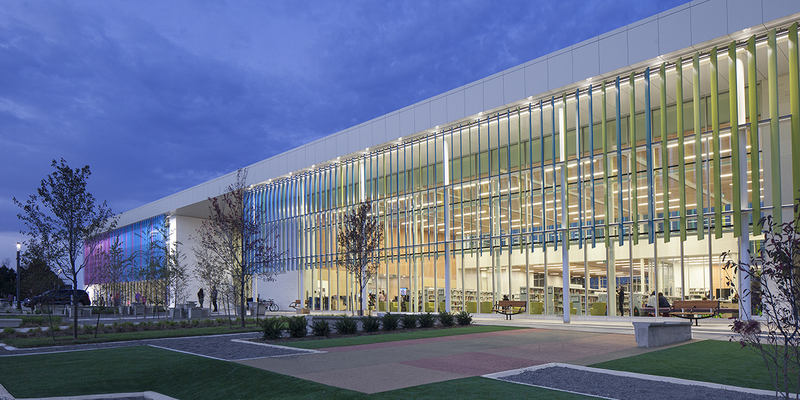 Solution: Entuitive provided a long-span steel beam solution so that the desired program space could be achieved. Careful 3D coordination allowed for a steel and wood terrace framing solution that integrated with the long-span structure. Entuitive performed studies to ensure the system delivered adequate stiffness to mitigate any unwanted vibrations due to human activity on the terrace roof.